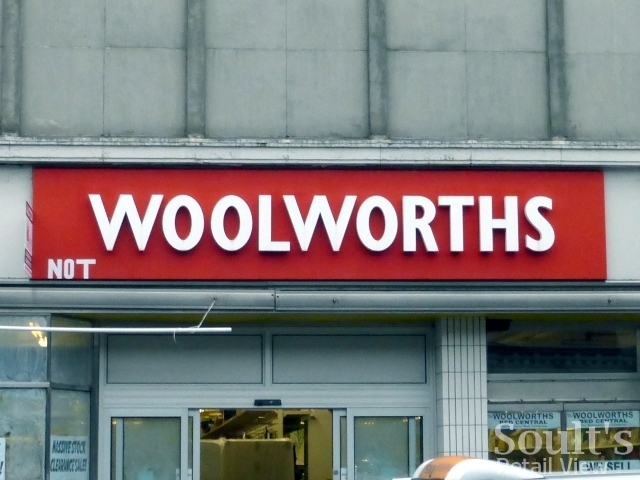 If you’ve read the news headlines over the last couple of days, you could be forgiven for thinking that Woolworths is about to come back to the high street. Daily freesheet Metro was among the publishers to run the story on its website, and – as you’d expect – my Twitter and Facebook has been full of excited friends and acquaintances sharing the news on my timeline. Sadly, the story is complete nonsense – as the owners of the Woolworths brand, Shop Direct, have now (belatedly) confirmed. However, I’ve known the story was hokum right from the start – and I’ll explain how in a moment. It’s been quite eye-opening, though, to see journalists and others – who should, in many cases, really know better! – seize upon the supposed news, without checking their facts or even weighing up its likelihood of being true. Then, even when they’re told how silly they look for publishing it, they do nothing. Meanwhile, the power of social media has ensured that the story has spread like wildfire, despite my protestations, the first of which I posted on Twitter on 2 April. @wwdetective Or a terrible April Fool, I fear! The story seems to have started with an April Fool’s joke, dated (as you’d expect) 1 April, posted at http://haverhill-online.co.uk/woolworths.html, and shared on social media. It’s a domain that appears not to have a website to go with it yet – the homepage just brings up a ‘coming soon’ message, but the article, rather naughtily, was set up to look like the BBC News website. It claimed that Shop Direct would open 10 stores in the first year – including one in the supposedly previously “successful” location of Haverhill, in Suffolk – with a target of 200 by 2020. The initial version I read on 1 April implied that the Haverhill store would reopen in its previous premises – which was clearly silly, given that the site is now happily occupied by Iceland – though it was later tweaked to suggest that it would open in a former Co-op unit instead. Frankly, it was a pretty lame April Fool – after all, the best ones are those that appear vaguely plausible at first glance but drop in increasingly obvious clues to make clear that all is not what it seems, in order to avoid misleading the reader. In this case, given the lack of any clues in the text, you can see why some readers took it at face value, and it seems to have spent the first week of April making sporadic appearances on social media. It’s telling, of course, that some folks see what purports to be the BBC News website and don’t bother to check the dodgy address showing up in their browser. I suppose that’s why phishers claiming to be PayPal or a high-street bank are still able to get away with their scams. Fast forward to 22 April, and for some reason – after being mostly (and rightly) overlooked for three weeks – the ‘story’ was picked up by the Retail Appointment website, where it restated the purported store opening plans and Haverhill’s status as one of the first branches to be reincarnated – so, clearly drawing from the dodgy Haverhill Online article. Again, I pooh-poohed the story on Twitter, and even emailed Retail Appointment via their contact form to alert them to the error. However, I got no response for my efforts, and the false story remained (and remains) live. @Alsortsstore Oh dear! It's based on a really bad April Fool. If Retail Appointment were on Twitter (can't see them) I'd tell them! 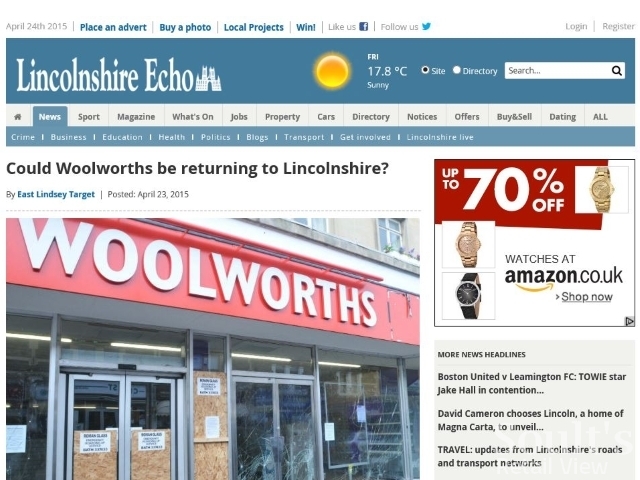 A day later, the story of Woolworths’ supposed return made its first appearance on a proper news website – the Lincolnshire Echo – who trailed it via their Twitter account, and extrapolated the story to question whether branches in Lincolnshire may be among those to reopen. Again – feeling that I should try and prevent their embarrassment – I quoted their tweet (which they should see as an alert), including the link to the original fake source. Again, however, I got no response. Of course, had the Echo taken the story down at that point – or acknowledged that they’d been fooled – its spread could have been slowed. Had anyone planning to cover the story bothered to do a quick Google or Twitter search, they would therefore soon have realised that it was fake. It’s a fair point, though N Brown’s Simply Be has created a precedent for home shopping groups to turn online or catalogue brands into high-street names. Equally, there was speculation not long after Shop Direct bought the brand and launched Woolworths.co.uk back in 2009 (probably equally unfounded, but at least originating in the vaguely more reliable Times) that the company was set to launch a chain of 200 franchised Woolies stores. I even blogged about the story back then, but nothing else was ever heard of it. Back to now, and in the light of Shop Direct’s response, cue the press backtracking en masse as BT.com’s ‘Woolworths – coming back to a high street near you’ was retitled as ‘Woolworths deny it will make return to high street’, while Metro’s ‘Woolworths ‘set to trial 10 new stores in the UK, after success of online store’’ became ‘Fake story says Woolworths is opening 10 new stores – it’s not true’. So, after all that, is it plausible that Woolworths could ever make a return to the high street? While this episode has shown how easily a story based on nothing can make the national press – especially if journalists are a little less rigorous in their research than they might be – it has once again demonstrated the affection for and resonance of the Woolworths brand, and highlighted the excitement, at least in some quarters, about the prospect of its stores returning to the high street. Shop Direct, of course, has all but ruled it out, but then if it was going to resurrect physical Woolworths shops it would almost certainly have done so by now – tapping into the immediate sense of loss, and the available ex-Woolies space – rather than waiting six years. My own research for CannyInsights.com shows that barely 20 ex-Woolworths sites are currently empty – meaning that more than 780 are occupied – and, with the greatest respect to those towns where the Woolworths is presently vacant, Girvan or Peterlee are barely the most obvious locations in which to launch a new national chain. Perhaps the franchise model speculated about in 2009 would work, or maybe Shop Direct will one day dispose of the brand to another company. Even then, though, any new Woolworths stores would be likely to look very different to the ones we remember – and so they probably should, given that the old business model is what collapsed in the first place. Since the end of 2008, the high-street entertainment market which for a long time buoyed Woolworths’ footfall and sales has shrunk even further, with HMV collapsing and coming back in a reduced form. Meanwhile, players like Poundland and B&M – and the supermarkets that helped clobber Woolworths previously – have mopped up much of the trade in things like children’s party gear, Easter eggs and Christmas decorations. Children’s clothing is maybe more lucrative – with groups like Let Clothes Be Clothes campaigning for a better choice on the high street – though the Ladybird brand is also now part of the Shop Direct empire. 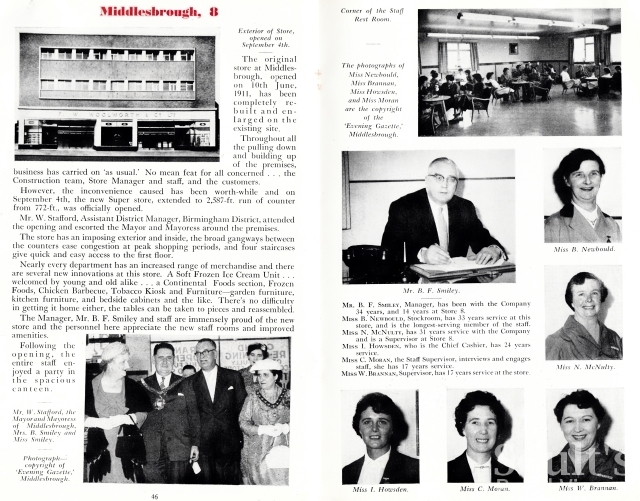 Should any future Woolworths look back to the ’50s product range? To be honest, Woolworths’ main USP is that fantastic and unique brand heritage, and the warm glow that it still conjures up in many shoppers, who – you hope – would be more alert to the possibility of letting it fail a second time. So, if you were bringing Woolies back to the high street, maybe there would be merit in going down a deliberately nostalgic and retro route – with cafés, pick and mix, broken biscuits, ice cream, and a treasure trove of useful stuff – perhaps even bringing back the single price point that Woolworths pioneered all those years ago with its 3d and 6d stores, and that Poundland has reinvented for the modern shopper. 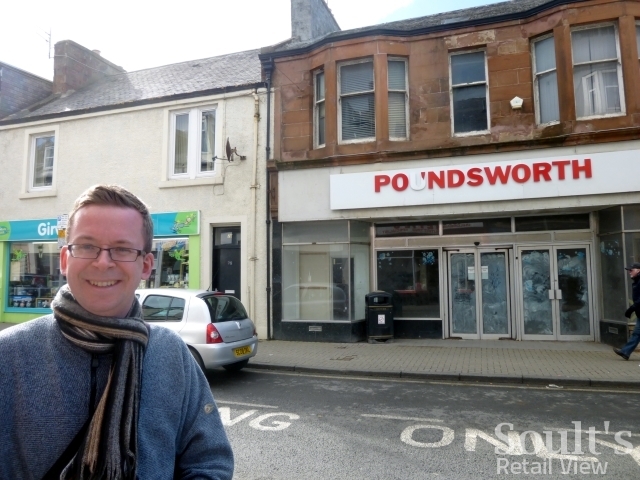 If Poundland is forced to divest swathes of shops in order to complete its planned takeover of 99p Stores, we could even see a tranche of ex-Woolworths sites coming back on to the market. It’s not going to happen, of course, but it would certainly be a neat turnaround if those were to form the basis of a resurrected Woolworths (or even a Woolworths-style) chain. Just don’t expect that bringing Woolworths back to our high streets would be easy or even logical – despite what the Metro says.